The production of steel can be traced back several thousand years and when our ancestors first began to use steel, they also started to recycle it. Indeed, steel has been recycled for thousands of years. Today, as increasing pressure is brought to bear upon limited natural resources, research and development programmes continue to seek more effective means of recovery for all types of metals and alloys. New steel, however, continues to be produced from old steel, every day. While the recycling of old steel in its many forms is a normal metallurgical process for producing new steel, today‘s food can could be recycled to become steel used for tomorrow’s train, car or skyscraper. The process of recycling is being improved upon continuously. In turn this has boosted recycling rates for steel packaging significantly in recent years – in Europe steel packaging reached an all-time high recycling rate of 76% in 2014, a number that keeps increasing (APEAL, 2016). Indeed, there can no longer be any doubt about the economic sustainability of recycling steel. But it is such a widely established, everyday process, we may forget just how significant a role steel recycling plays in tackling the environmental challenges the world now faces. In fact environmental product life cycle assessments (LCA) show that using recycled steel to make new steel considerably reduces the amount of energy used and the environmental impact from pollutants by a factor of approx. five (Classen et al., 2007) compared to the use of new steel . On a global scale, this reduction in energy consumption and the substantial cut in emissions which steel recycling enables, is highly significant. But the benefits are not limited to the economy or the environment. The third pillar of sustainable development, society, also benefits from steel recycling. The social impact of products assessed with “social LCA” highlights large differences from country to country (Franze, 2011). In the European Union, steel is mainly recycled using clean technologies and following strict health and safety standards. In contrast ore mining, which typically takes place in developing countries, carries a greater risk of negative impact on the environment and the health of miners. 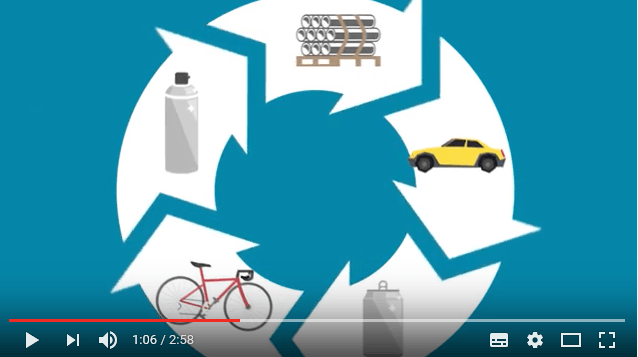 These are not the only reasons why it makes sense to recycle steel. Indeed, steel has been reused, melted and reshaped for thousands of years, not only because it is easier, cleaner and cheaper, but also because the iron and other metals used to make steel have inherent chemical and physical properties that do not change when recycled. This is significant because as a result, it is theoretically possible to produce new steel without any addition of virgin material. 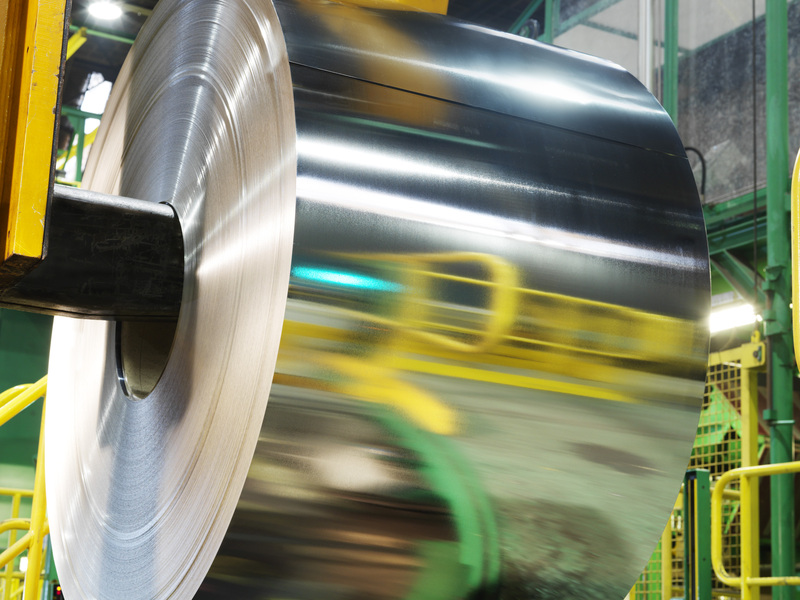 European metal packaging stakeholders have therefore classified steel as a “permanent material” and interest in permanent materials has grown alongside the development of Circular Economy thinking. However, in a circular economy, the use of permanent materials is about more than just the material’s properties. This is why Carbotech AG developed the Concept of Permanent Materials (CPeM) which is an approach designed to take into consideration both material properties and, for each application, material stewardship. recycling the material provides an added-value to sustainable development. If these conditions are fulfilled, then a given application has the perfect potential for closed technical loops in a circular economy. Chemically speaking, the inherent material properties of a metal do not change regardless of repeated recycling into new products. But beyond chemical and physical properties, it is crucial to determine whether the material application is available after use and recycling. The range of iron applications is particularly wide and, whilst some of them may not yet be fully compliant with the permanent material concept: steel used for packaging is an excellent example of an application that complies with this concept. Some steel used for packaging is plated with tin to protect against corrosion. Both metals are recycled during the closed-loop process and tin does not currently influence steel packaging recycling because the very thin layer of tin is diluted by the large amount of steel coming from various applications. As circular economy practices become more and more common, the steel recycling process should consider the best way of maintaining the ‘tin-loop’ to achieve the greatest environmental benefit for both materials (Kägi & Dinkel, 2015). In addition, there are opportunities to further improve the recovery rate of steel packaging, which is currently nearly 80%. Inevitably some material is still lost to the recovery system after the consumer has used the contents of the packaging, but as collection infrastructure improves and more consumers recycle steel packaging, there will be opportunities to improve recovery rates. One question that remains is: how to maximise the ecological added-value of increased recycling given the additional environmental impact of collecting and processing more material. However, even if steel for packaging is mixed with residual waste that is incinerated with the remaining municipal solid waste, steel can be recovered from the bottom ash and recycled. If we look beyond the concept of permanent materials, it is possible to see that the advantage of steel food and beverage packaging is not just limited to recycling but extends throughout the entire life cycle, particularly during use. Indeed, the very function of steel packaging is to protect food and beverage products and to preserve them. And, as the LCA experts of Carbotech emphasise, the ecological impact of preserved food itself generally represents 90% or more of a product’s impact. Packaging can even lead to a reduction of the environmental impact of food. During winter for instance, the environmental impact of 1 kg of green beans grown in a green house or imported from Egypt by plane is nearly three times higher than 1 kg of canned local green beans. So, the benefits of using steel to package food and beverages can be seen to be wide ranging – it is a permanent material when material stewardship is provided, offers potential for the circular economy, and if every stakeholder is involved, represents a closed loop. To fully realise the opportunity, today’s consumers need to bring back and separate their waste, researchers must continue to develop more accurate and sustainable technologies and politicians along with industrial decision makers must support their use. Authors: Dr. Fredy Dinkel and Flora Conte, experts of the Swiss environmental consulting company Carbotech AG specialised of environmental assessments such as LCA and developers of the Concept of Permanent Materials. For more information: www.carbotech.ch. APEAL Pelican. (2016, June). ALL-TIME HIGH FOR STEEL PACKAGING RECYCLING IN EUROPE – Press release. Kägi, T., & Dinkel, F. (2015). LCA of tin plate recycling – Ecological comparison of tin plate recycling with and without detinning. On behalf of FERRO Recycling.